Few industries are as naturally at odds with itself as the medical community. Whether you are involved in mental health, general medicine or physical therapy, as a medical practitioner we understand that your number one goal is to provide your patients with the best possible care. However, we also understand that isn’t viable or practical if that comes at the expense of neglecting the financial aspects of your practice. Not only does that neglect come with a cost to your bottom line, but inevitability, that will also eventually trickle down and impact the level of treatment your patients receive. The world of practicing medicine is diverse. It makes sense for you to engage an outsourcing firm that specializes in your area of practice when it comes to billing and collections. It is a great advantage to partner with a company that not only understands the nuances of your industry but also the day-to-day processes that affect your billing and collection efficiency. Partnering with a firm that provides absolute transparency is critical. Sensitive information and data security compliance is important. This will not only provide you with peace of mind but will also give you the ability to audit and oversee the work they are doing to ensure that it is, in fact, being done efficiently and in a secure and safe environment. State and federal privacy laws dictate confidentiality, data security and information safety compliance. Talk to potential billing and collections partners and determine what security measures they have in place to protect client information and inquire into any experience they may have had with a breach. When it comes to handling sensitive patient information and finances, hire a billing and collection services company with industry experience. Make it part of your process to request for client references and ask questions about security, confidentiality policies. Check the company’s credentials and relevant trade certifications in addition to track record and experience. 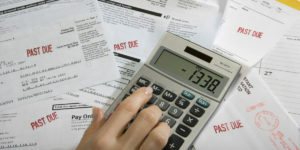 There are many other factors that you can consider when choosing a billing and collection management service provider. The five factors above are basic but are critical ones you need to think about and conduct due diligence on before you make the decision to outsource your billing and collections.